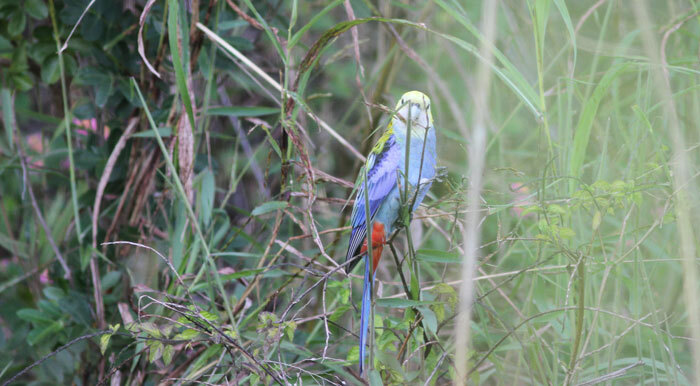 The Dawn Road Reserve is filled with birdlife and, led by Dawn Road Reserve Bushcare mentor Janet Mangan, a handful of volunteers combed the reserve for a couple of hours on Saturday morning, May 23, noting and sightings of birds in and around the bushland. 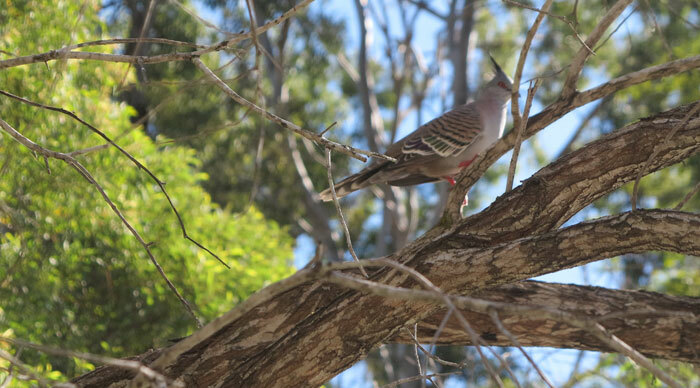 From the outset at a point under the powerlines, we could see – and hear – plenty of crested pigeons (Ocyphaps lophotes). 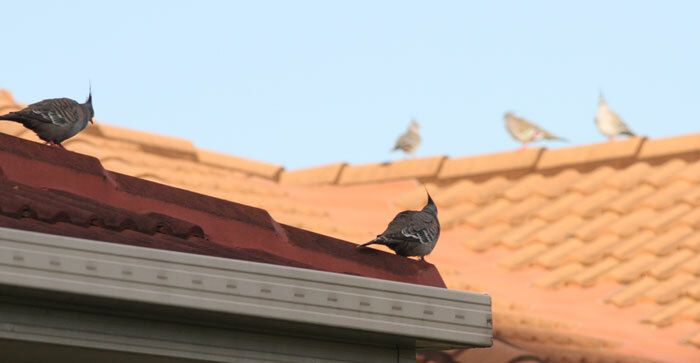 These healthy grey-brown birds are common in our neighbourhood as well as in and around the reserve. According to the Birds in Backyards website, these birds like to stay close to water and feed on native seeds, weeds and crops. Our best early morning photographs were of a group resting on a nearby rooftop, surveying their surroundings. 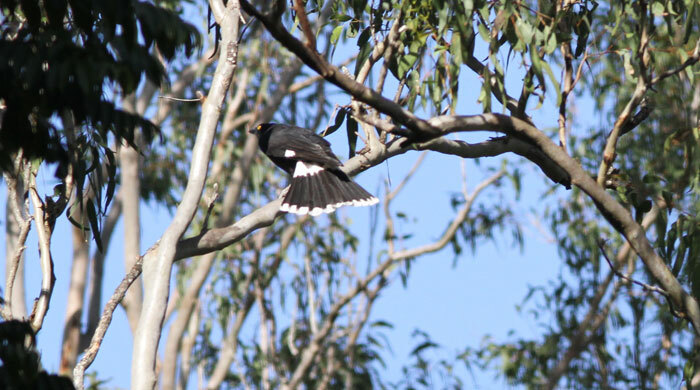 Nearby we saw a diligent pied butcherbird (Cracticus nigrogularis) with a morsel to take back to its nest. Perhaps it was feeding its brooding partner or last season’s chicks. 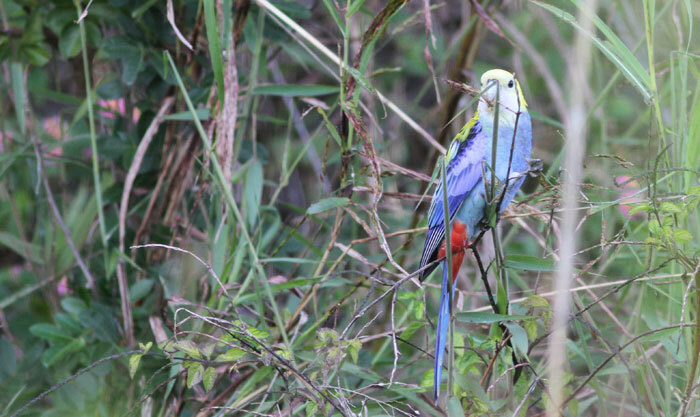 Then there was some excitement when we saw a pale-headed rosella (Platycercus adscitus) darting about near the ground. It was interested in us, too, even though we kept our distance and watched it feed, look around and eventually fly off. Currawongs usually spend most of the year alone, in pairs or family groups only grouping as a large flock around breeding season – their party time! On this survey, we could hear this currawong calling to another of its circle nearby. Kookaburras are frequently seen in and around the Dawn Road Reserve and live in family groups, often making their nests inside disused termite nests, up high on trees, or in the hollows of dead trees. 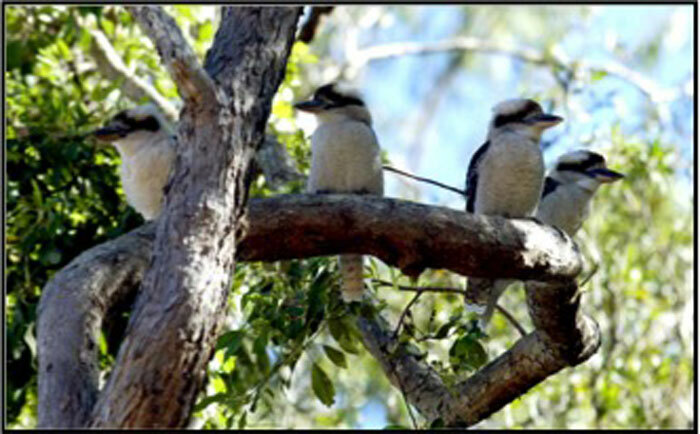 The crack-of-dawn chorus from families of kookaburras is a familiar sound in our neighbourhood and throughout the day they can be heard calling sporadically to each other or making their displeasure known when their territory is invaded by unwanted birds or wildlife. While their beaks are quite prominent and look quite fierce, they are more like fingernail consistency, with a roughish edge. Their plumage is quite lush, although it tends to look a bit grubby if there hasn’t been much rain. Kookaburras usually have excellent eyesight and can be seen pouncing on their prey from above, eating smaller morsels whole, but can regularly be seen bashing larger items against the ground or a tree branch before consuming their catch or storing it in their crop to feed to their young back in their nest. The adult kookaburras pair for life and both will look after their young, ferrying food back to their nests after they have eaten. Last season’s siblings will also help out training and feeding the newborns. Young kookaburras can be seen learning to fly (fledging) around Christmas-New Year, when they are about three months of age. They follow their parents around and squawk loudly when hungry. 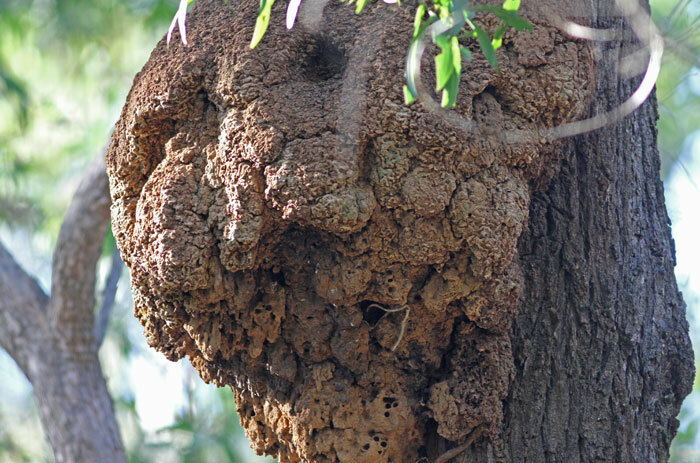 However, the sighting that caused the most excitement was not a bird at all and you can read all about it elsewhere on this site. 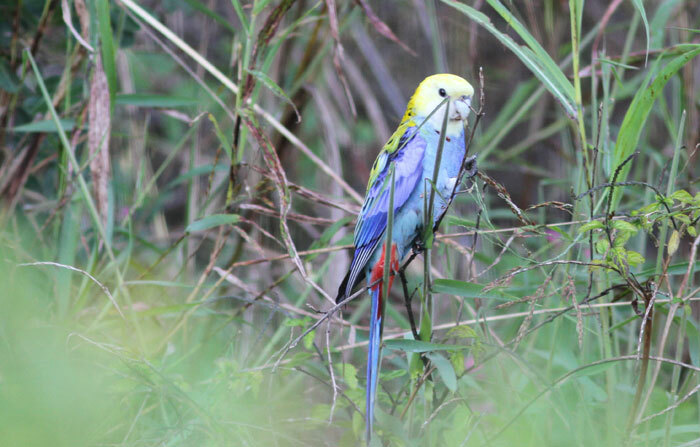 NOTE: If you would like to know more about the range of birds seen by residents and volunteers in and around the Dawn Road Reserve, a list has been compiled elsewhere on the naturewatch-albanycreek website.